Tasting whiskey is equal parts art and science. Tasting whiskey is equal parts art and science. It requires technique and practice, but having a natural talent and ability for identifying aromas doesn’t hurt either. 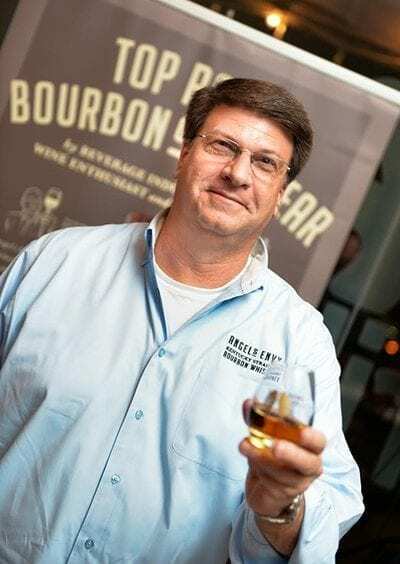 We caught up with Chief Innovations Officer and Co-Founder Wes Henderson to talk about his philosophy on tasting, and his preferred method of sampling a new spirit. Do you find it helpful to see tasting notes in advance? Don’t want to see them, don’t want to look at them. I’d rather go in fresh. I’m also mindful of the fact that tasting notes can be very subjective in a number of ways. I don’t want to go into the exercise with any pre-conceived notions or bias—even if it’s subconscious bias. So I’ll purposely avoid the spoilers. How do you teach yourself to taste? Well, let’s talk about aromas, which are the essence of flavor. In bourbon, there are very common aromas most people can identify. For instance, vanilla is one of the most widely recognized scents in the world. But bourbon can have up to 300 different aroma components. Some are very common, others aren’t—like pencil shavings. That can be an aroma that arises through the maturation process. It’s a little unexpected. So it’s helpful to have an understanding of aromas, not just tasting bourbon, but also for food, wine and other spirits. One of the ways you can educate yourself is to pick up an aroma kit that contains individual aroma components. You can individually smell an isolated aroma and learn how to recognize a particular scent. Beyond studying aromas though, taste everything. Seriously. Drink a bunch of bourbon with someone who has a more advanced palette than you and talk about what you’re tasting. Even if you don’t learn anything, you still get to drink a lot of bourbon. What do you recommend for new whiskey drinkers? 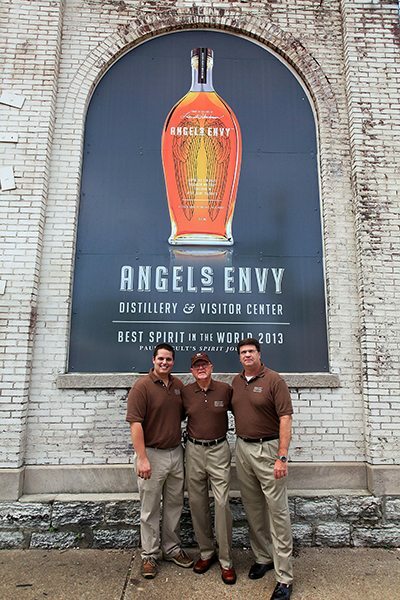 One of the things I love about Angel’s Envy is that it has a complexity that makes it a great tasting spirit. It’s got a lot of interesting notes both on the nose and the taste, but it’s balanced. For someone that’s new to the category, it’s not overwhelmingly woody or smoky. It’s also very balanced with a distinct character that will still appeal to experienced drinkers. But obviously, I’m biased. So walk us through a tasting. How do you evaluate a spirit? Color: It can tell you a lot of things. As a general rule, the darker the color of the spirit the more depth and complexity it has. There’s no real correlation there. Darker spirits aren’t necessarily older. Darkness indicates, a lot of times, that there’s more complexity to the spirit. But that’s not to say that lighter spirits lack complexity, but darker color usually indicates more. Aroma and Nosing: Always leave your mouth slightly open with lips apart when you nose a spirit. You don’t want all of the alcohol to overwhelm your nose. Opening your mouth will help mitigate some of the harsher fumes. Alcohol can be a barrier to picking out aromas, and leaving your mouth closed can be a mistake that a lot of people make, especially people that are new to the category. When you nose bourbon, you need to get past the alcohol, and you do that by bringing it in deeply through the nose with the mouth open, and allow the alcohol to dissipate so you can drill down to the essence of the aromas. Tasting: There are a couple of different approaches to tasting. One approach is to take a drink of the spirit and let it roll all the way down the palette as you swallow. This is my preferred method. Another approach, which I’m not a big believer in, is holding it in your mouth for a brief moment before swallowing. The idea behind this is that the spirit supposedly hits a lot of different spots so you pick up more flavors. I think that holding it in your mouth has an anesthetic effect on your taste buds, so you end up tasting more burn then flavor. And once again, you have to get past the initial burn of the alcohol, which in a great spirit like Angel’s Envy, will dissipate quickly. Once you get past that first jolt, you’re able to experience the nuances of the spirit. Finish: First and foremost, you’re looking for an actual finish. You’re not looking for something that’s a hit it and quit it kind of thing. You want that pleasant, nice lingering finish that leaves you feeling like you’ve just experienced something with a lot of depth and dimension, but more importantly, leaves you wanting more. Finishes are kind of tricky. When you’re creating a spirit, it’s hard to plan for it. Either you’ve got it or you don’t. Finishes are kind of tricky. When you’re creating a spirit, it’s hard to plan for it. Either you’ve got it or you don’t. The glass can make a difference. A good snifter can concentrate the vapors right at the top of the glass, so it’s really ideal for tasting. But if you’re just a bunch of folks sitting around and enjoying bourbon you don’t have to go through all of that. Do you ever use water when tasting a whiskey? People generally add water to lower the proof and unlock more aromas. It’s a pretty popular tactic that certainly allows you to sample more. But I like to experience spirits in their natural state—with nothing added. Happy tasting!